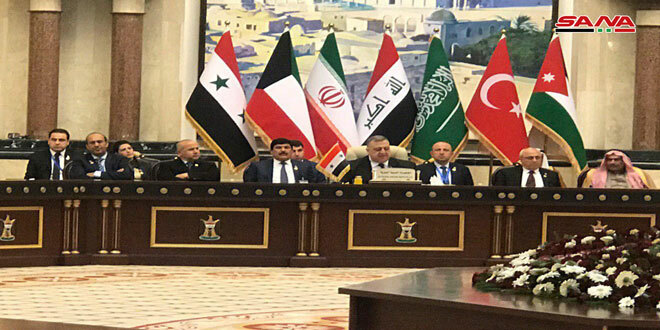 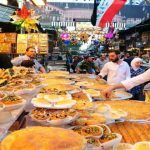 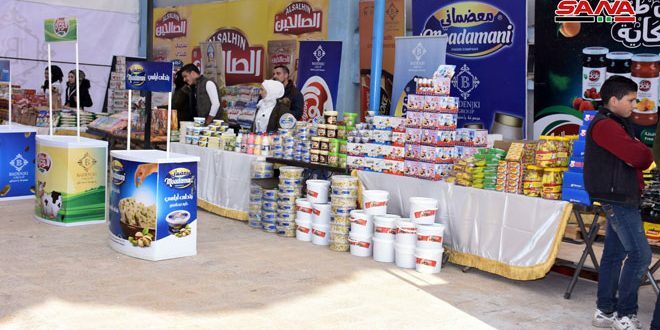 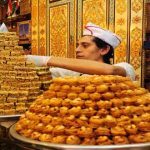 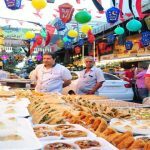 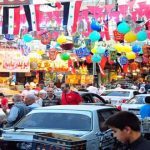 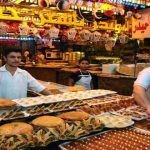 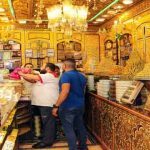 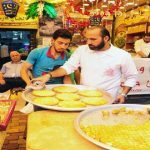 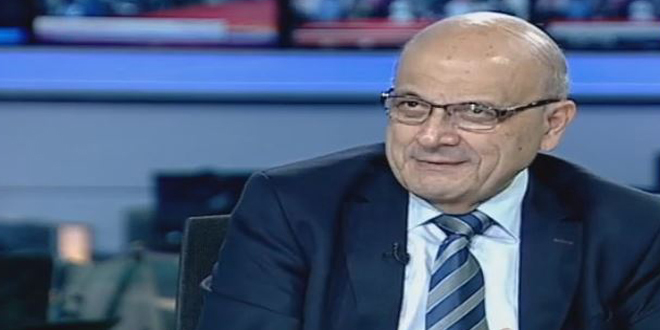 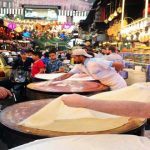 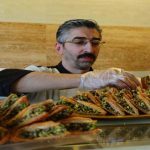 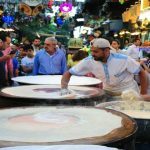 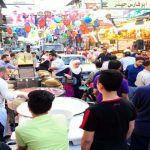 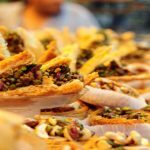 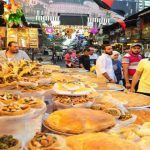 Damascus, SANA- Because there is no Eid without sweets, sweet shops and confectioneries, particularly of Arabic variety, in al-Jazmatyia, al-Marja and al-Midan markets in Damascus are taking all the required preparations for Eid al-Fitr. 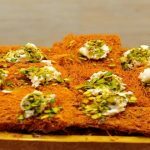 Many stories have been narrated about the Syrian sweets, particularly, the Damascene sweets as in the past people used to buy them a week before the coming of Eid. 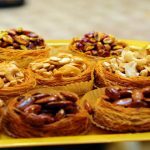 There are different types, shapes and tastes of the Damascene sweets such as al-Mabrouma, al-Baklava, al-Ballouryia and others and all of them are local labels. 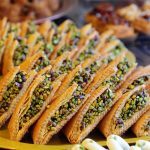 One of the most famous Damascene sweets is Maamoul which is made of flour and margarine and other ingredients and it is filled with walnuts or pistachio or coconut or others. 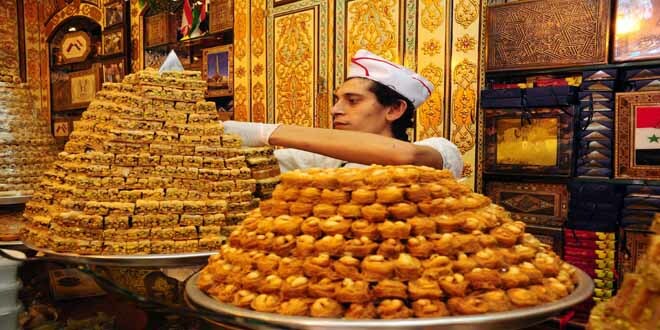 Owners of sweet shops and confectioneries display the sweets in artistic ways to attract the attention of people as some of them display the sweets in a pyramidal beautiful way and others choose to display them in different artistic shapes. 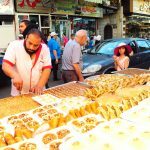 The Damascene sweets are very famous worldwide and they are distinguished with their industry which is inherited from one generation to other in a way that represents a Syrian art which has its secrets as tourists buy Damascene sweets and they take the sweets with them to different parts of the world.